St Mary's has been pleased to support Eric Twine and All Saints Holma over many years. 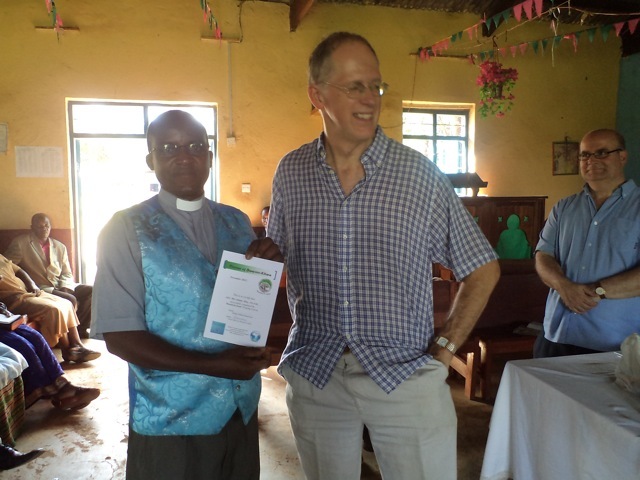 We originally supported Eric when training to be a Vicar at Carlile College Nairobi in the 1990's. He is also a Canon Missioner for the diocese and a very effective evangelist in his local area. and others interested in the Christian Faith. When Andrew first went out to see Eric Twine in 2003, he was then Vicar of the thriving All Saints Town Church Hoima. 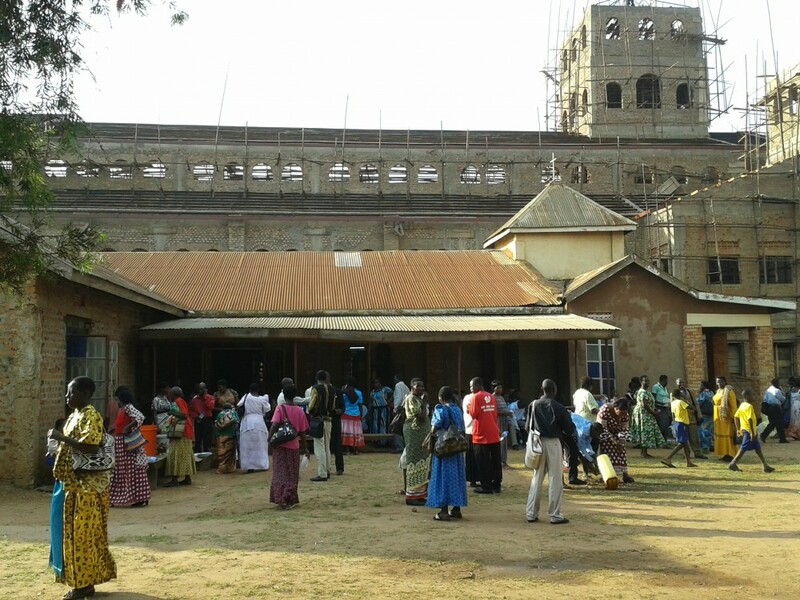 Since then, St Mary's has continued to have links with that church under its current vicar, Revd Paddy Irumba. In particular we have been happy to help with the building of a very large new church building which when completed should be able to seat about 7000 people ! The present All Saints Church with the much larger new church in the background. St Mary's has recently made a gift towards putting the roof on the new church.